The soup is hot. Come get it well it’s hot. Suppan was only out of a job for 5 days before someone picked him up (which means I get to make more Suppan posts). And guess where he is staying… the NL Central. That’s right Brewer, Cubs, Astros, Reds, and Pirate fans; great news for you guys and bad news for the Cardinal fans. 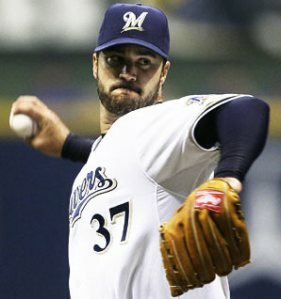 The Cardinals are close to sealing the deal and they would only owe Suppan a prorated portion of the MLB league minimum, while the Brewers still have to cough out the remaining portion of his $42 million. Is it just me or is getting fired in the MLB like getting suspended from school (stay home from school, sounds great!!)? You get to sign for a contender and get paid two salaries instead of one. What does everyone think? Agree with the move or not? Remember the Cardinals do have 3 rookies currently in their rotation.